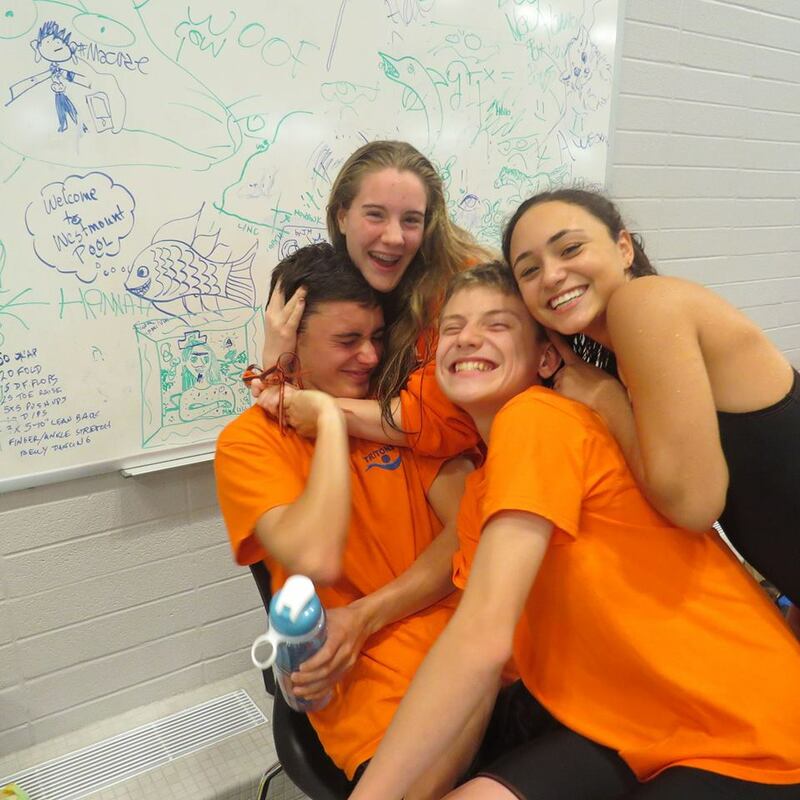 What Does it Mean to Be On a Swim Team? Swimming is an individual sport. We compete in our own lanes, untouched by anyone else (hopefully!) We train with others, occasionally banging arms together, but even so we live inside our heads looking down at the bottom of a pool. So what is a swim team, and why do we even need them? I guess the most basic description is that a swim team (or any team) is a group of people who share a common purpose – in this case swimming. But it can be so much more than that, and it pretty much depends on what you put into it. If you haven’t been on many swim teams, it may be hard to imagine that every swim team is fundamentally different. You can see it in the way the swimmers interact with each other, and how the coaches interact with the swimmers. You can feel it in the air, whether it’s all business or fun or adventure, or a place to help just the fast ones get faster. 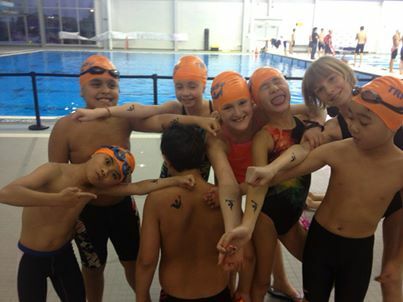 It’s the coaches AND swimmers who determine what being on that team means. It’s something to think about the next time you go to practice. So what are the main benefits of being on a team? 1. You can be inspired by team mates. Sometimes others on your team can push the envelope. They can perform at a level you and they did not think was possible for them. And that will motivate you to work harder and achieve more. 2. A team provides a social environment. You develop friends that you can keep for a long time. (Almost all my friends that I still talk to from high school and university were swimmers.) And a proper team environment is positive and fulfilling. No bullying or cliques, and its away from the sometimes harsh environment of school. 3. There is a commitment to attend practices. We all have bad days, and it’s so easy to put off working out if you do it on your own. Having a team practice starting at a certain time, and knowing that others are expecting you will often get you there even when you don’t feel like working out. Generally you’ll feel better afterwards as well, and the team benefits from your presence. 4. Swimming with others challenges you to become better. There is nothing like swimming beside somebody to make you want to swim fast. Even if they’re a close friend, you still want to beat them. And if they’re not really a friend, you want to beat them even more. Swimming with others just provides the right environment for you to challenge yourself and push past your mental barriers. My own experiences reflect the above points very much. 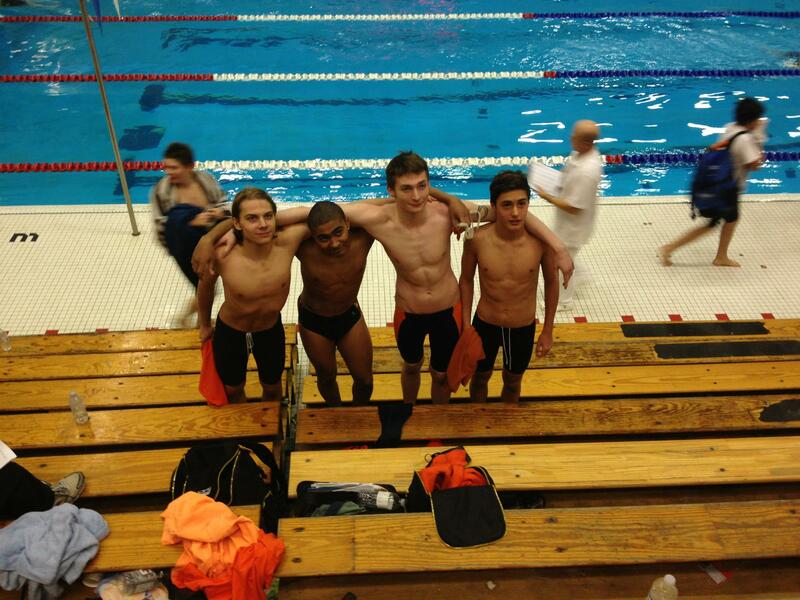 My swim team during my high school years was the place I was happiest. It was a place where I felt I truly belonged, and as a result I trained hard and loved it. In particular I had one team mate who was both a friend and a swimming rival, and in the water we would kill ourselves to beat each other. As a result, we both improved tremendously, were happy, and still stayed friends. At the same time, I’ve often had to tell swimmers that you don’t have to be friends with your team mates. But you do have to support them, just as they support you. When everyone works together, everyone benefits. 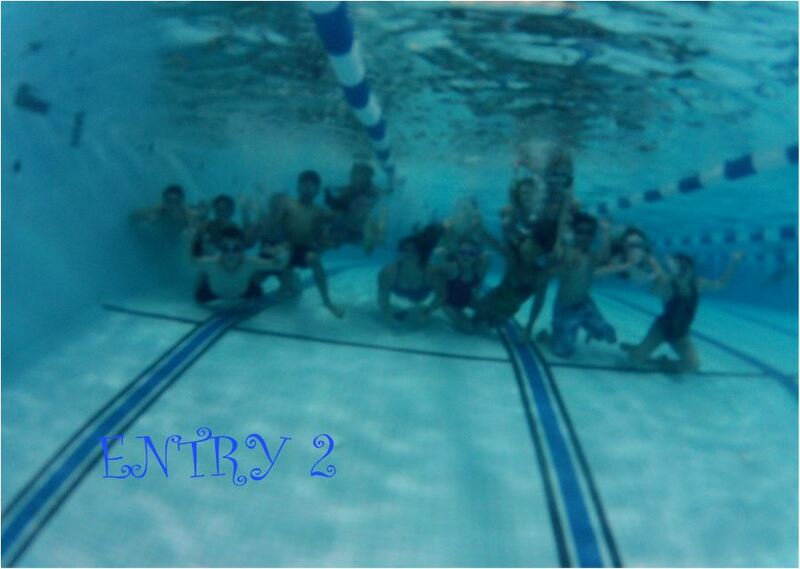 So what does it mean to be on a swim team? It means finding a place where you can be yourself. It means challenging yourself and your team mates to become better and faster swimmers, while being surrounded by others who are doing the same. And it means making friends, some of whom you may end up keeping as friends for life. All in all, a pretty good deal. Next Post What Makes a Pool Fast? This is an exciting time for you. Your swimming career is just starting! Every club is different in how they handle competitions. For some clubs you have to compete at a very young age, and for others you never have to compete. Just check with your coaches.